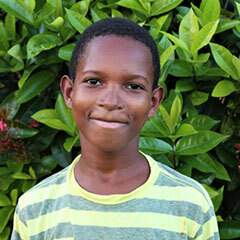 Eury, 14, is the older brother of Eddy Jr. who already lives at Josiah’s House. He joined us in the summer of 2017 and we are thrilled to have him! He currently doing well in our on-campus tutoring program and we love having him reunited with his brother.